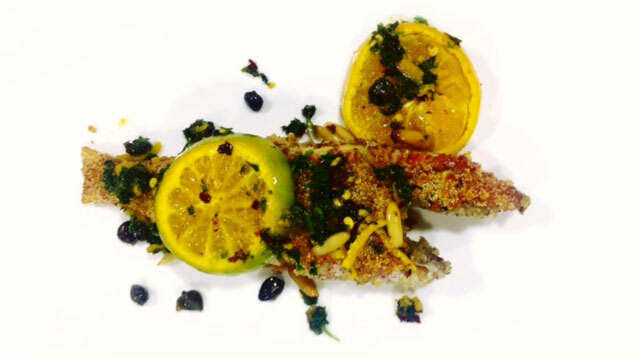 This simple dish of fried mullet served with orange slices and capers is a must try. 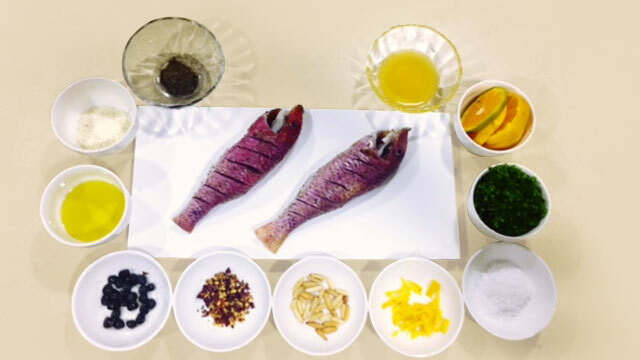 Season the red mullet with salt, pepper and Semolina. Heat oil in frying pan on a medium flame and fry both sides of the fish until golden brown. Transfer it to another plate. Deglaze the pan with orange zest and juice. Add orange slices, capers, pine nuts, chilli flakes and parsley to the pan and heat it. Pour over the fish and serve hot.